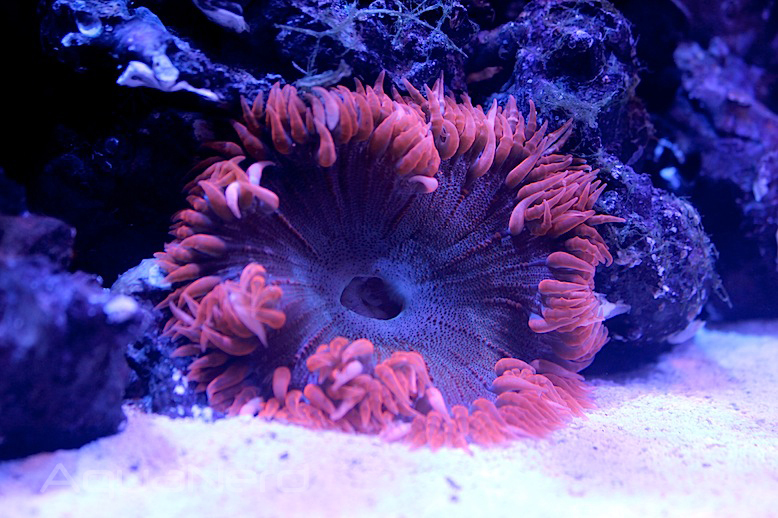 You are at:Home»Aquarium Livestock»Are Flower Anemones the Current Big Thing in Aquarium Livestock? Over the past several years, certain corals have enjoyed more of the spotlight than others. 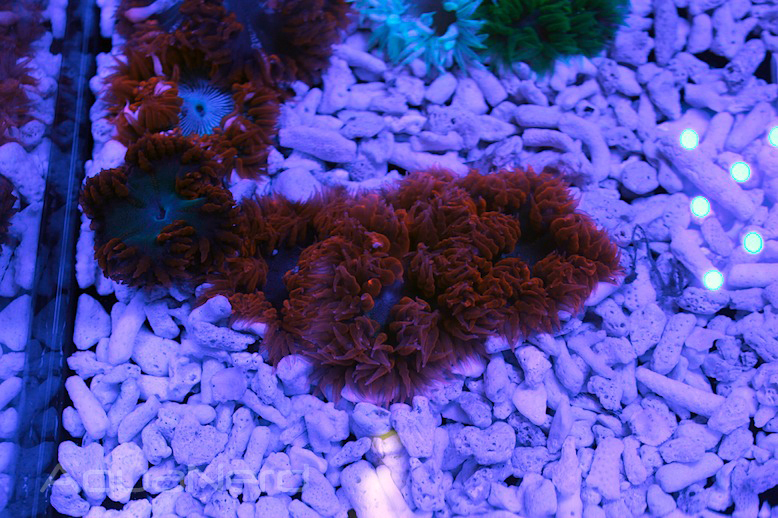 Australian Acans have had more than their fair share, and chalice corals are still highly sought after in most circles, but there might be a new kid on the block that is starting to chip away at the popularity of those corals. If you’ve been browsing any of the thousands of online retailers lately, you might have noticed an overabundance of beautiful flower anemones, also called crucifer anemones for their latin name, Epicystis crucifer. Well, it’s not just the online stores in which these nems are flooding, as they fill the tanks of brick and mortar stores and were out in full force at MACNA too. Like the Maxi-mini carpet anemones that came before them, these flower anemones are not huge, nor do they play host to clownfish in most situations. These anemones are very colorful and reside in the sand bed for the most part, adding a pop of color to the most desolate looking area in the aquarium. As far as prices go, they range wildly from $10 for the less attractive individuals to well over $150 for those brightly colored gems. Because they are so popular, the prices for the best looking flower anemones will certainly be inflated, at least for now. I was at Macna and they had tons of them and no one was buying them. 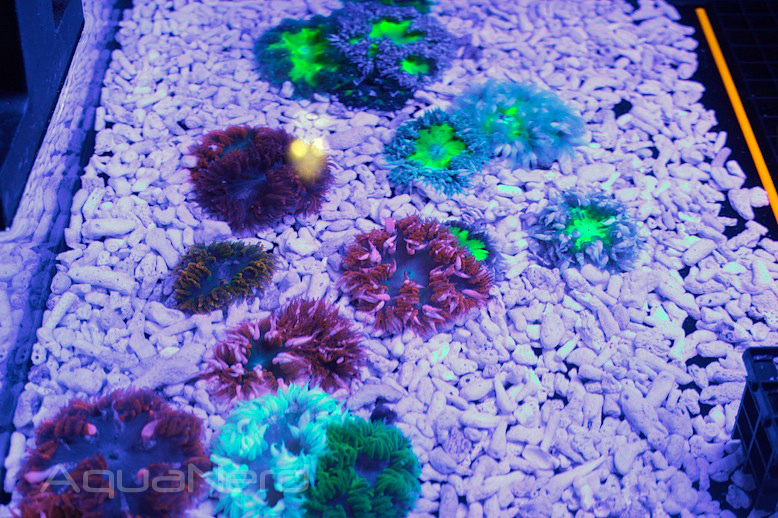 They are a fad like the maxi mini anemones. Great article, was thinking the exact same thing.